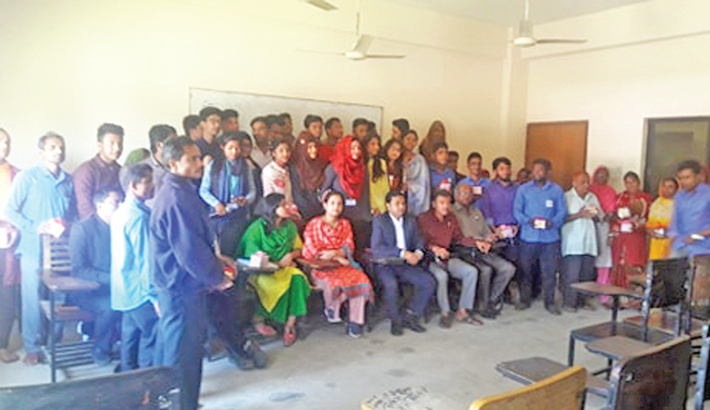 The Fresher’s of the Department of English of BGC Trust University Bangladesh have observed Valentines’ Day in a humane and compassionate way. On the very day the students invited the Office Aids of the University to a programme and distributed gifts and food to them. A total number of 25 staff, including MLSS, Peons, Security Guards and Cleaners of the University were happy to have such treat and treatment from the university students. They expressed their happiness for being honored in such a friendly way and thanked the students for this benevolent gesture. The teachers of the English Department and Officials of the University were also present at the programme.